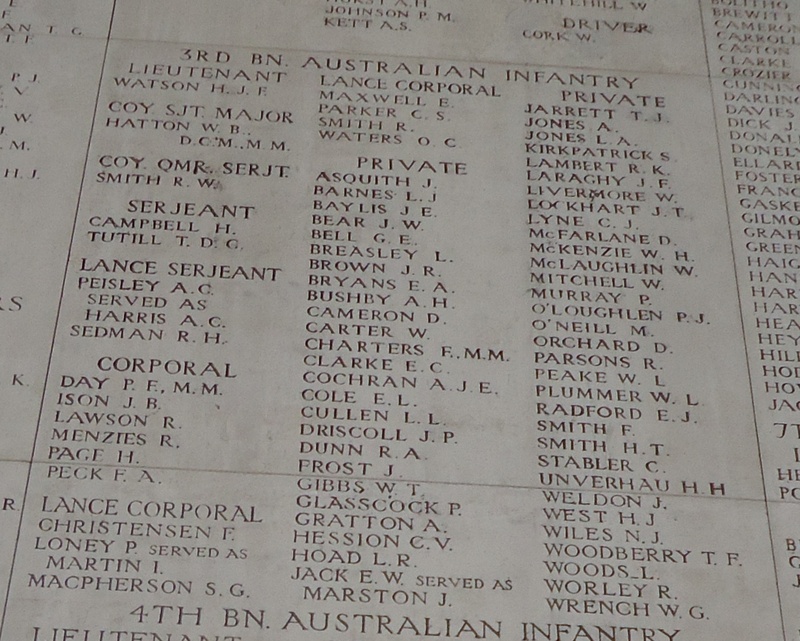 Per his military service record (regimental no. 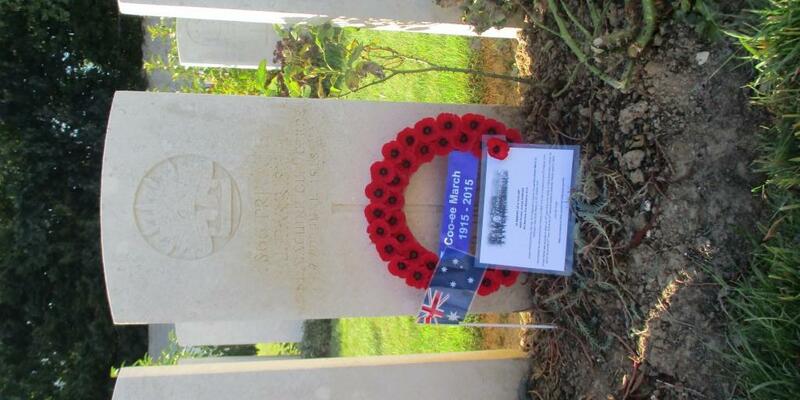 5489), Lewis Leoville was born at Marseilles, France. 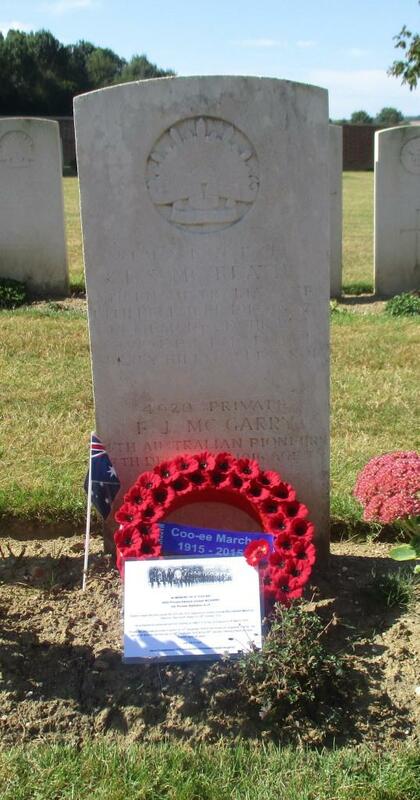 He is listed with the alternate spelling of his first name as Louis Leoville on some documents in his service record (and in earlier newspaper advertisements for his hairdressing saloon business). 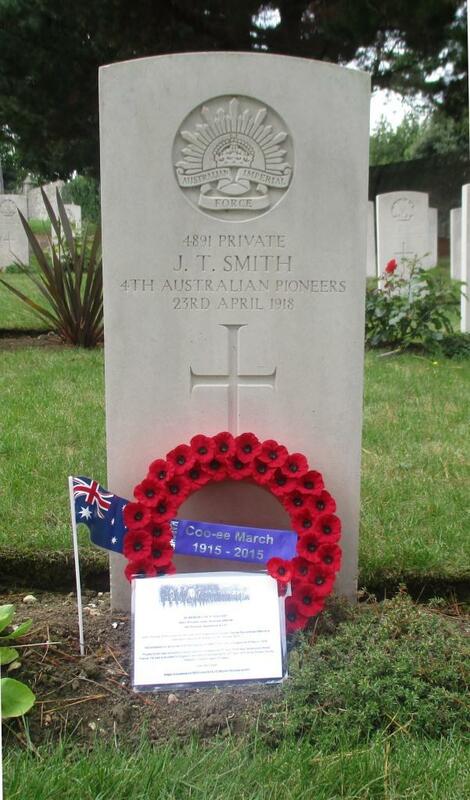 He is listed as being a naturalised British Subject. 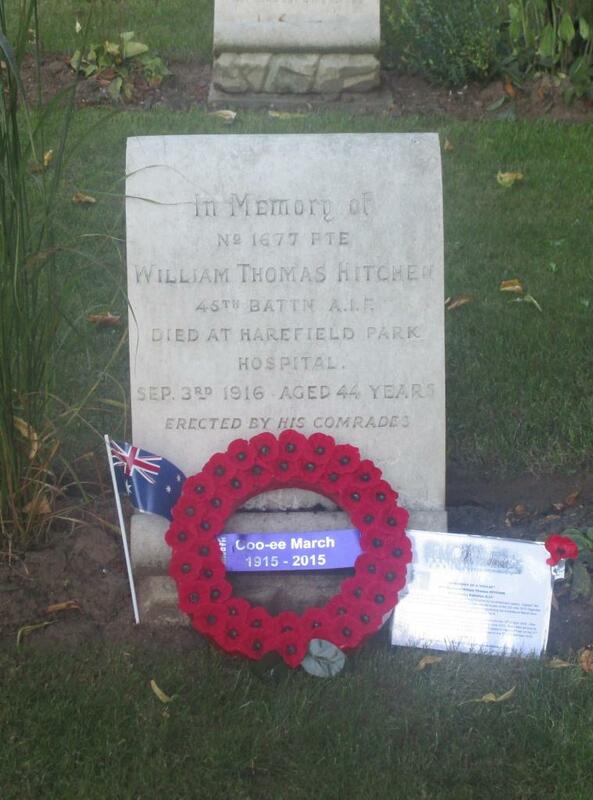 He gave his age as 41 years, his marital status as married, and his occupation as barber. 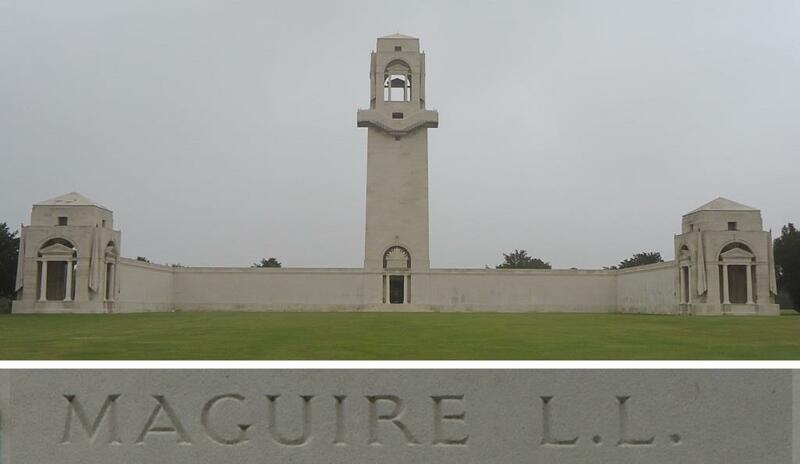 His description on his medical was height 5 feet 6 inches tall, weight 156 lbs., with a dark complexion, grey eyes, and dark brown hair. 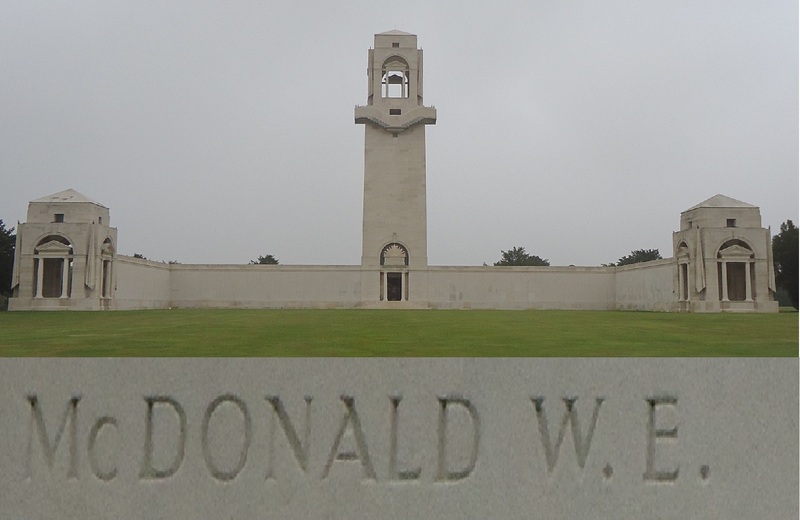 His religious denomination was Roman Catholic. 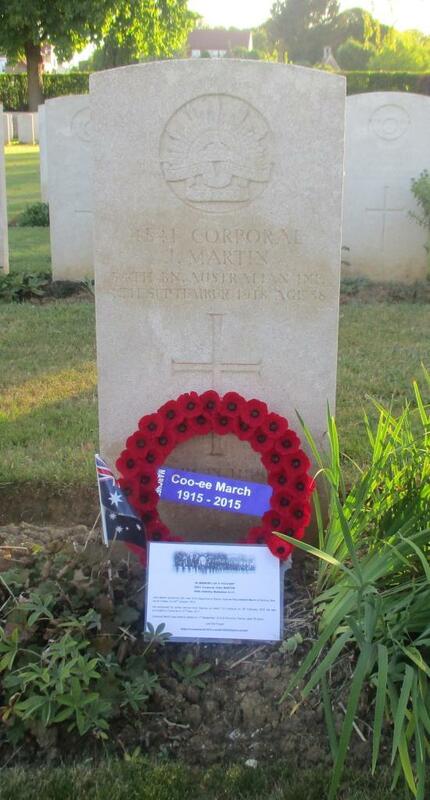 He claimed that he had 3 months previous military service in the French Army. 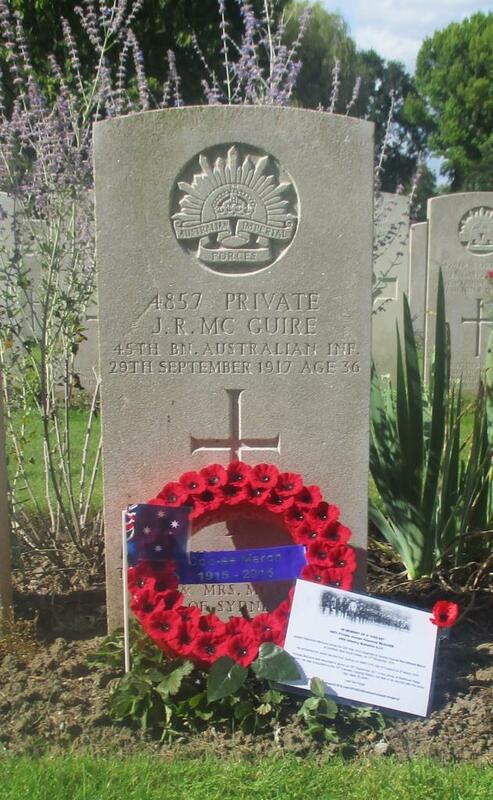 He completed his medical on the 3rdNovember 1915 at Lithgow, and was attested at Lithgow on the same day. 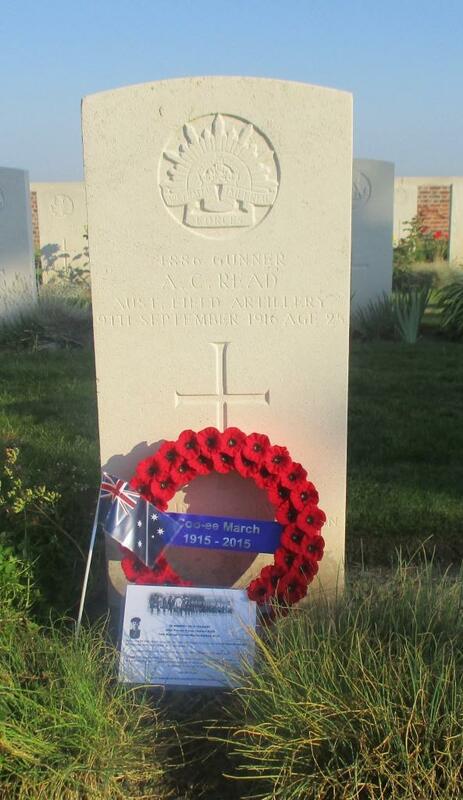 After the march he went to Liverpool Camp as 15th reinforcement for the 13th Battalion. 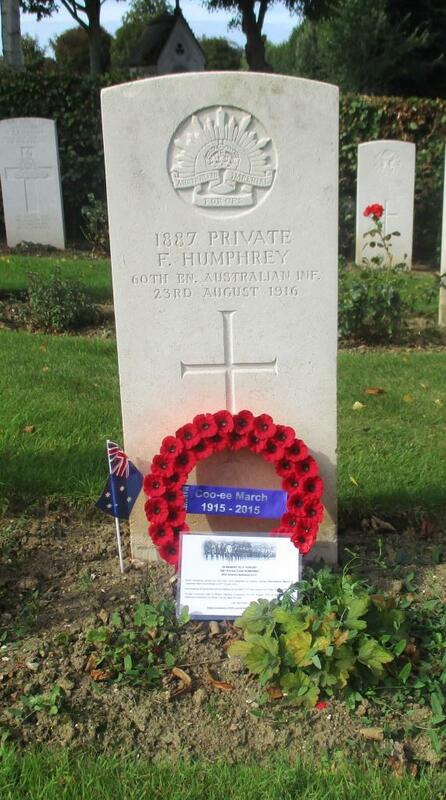 He was transferred to 17th Reinforcement for the 13th Battalion on 29th March 1916. 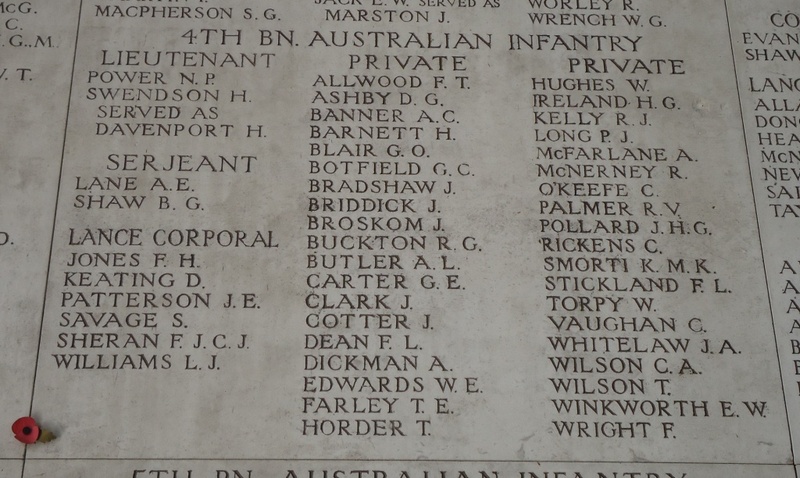 On his embarkation roll his address at time of enrolment was Binalong, N.S.W., and his next of kin is listed as wife, Mrs R. Leoville, Wagga Wagga N.S.W. 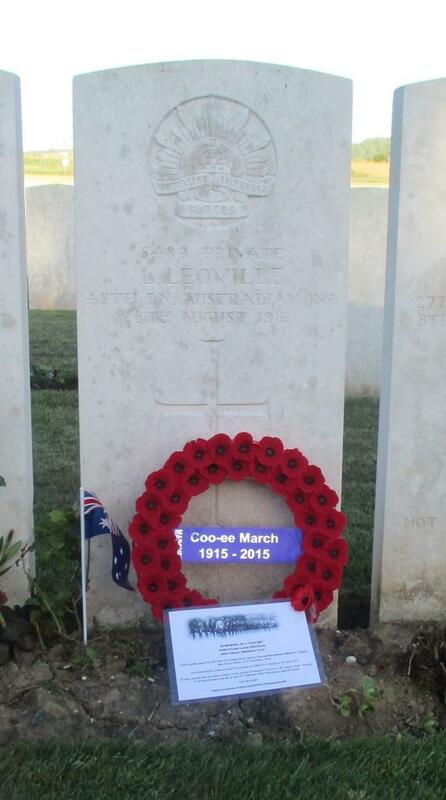 On 9th April 1916 Private Leoville departed Sydney on the HMAT Nestor A71 (along with Coo-ees Harold Uhr and Daniel Lynch). 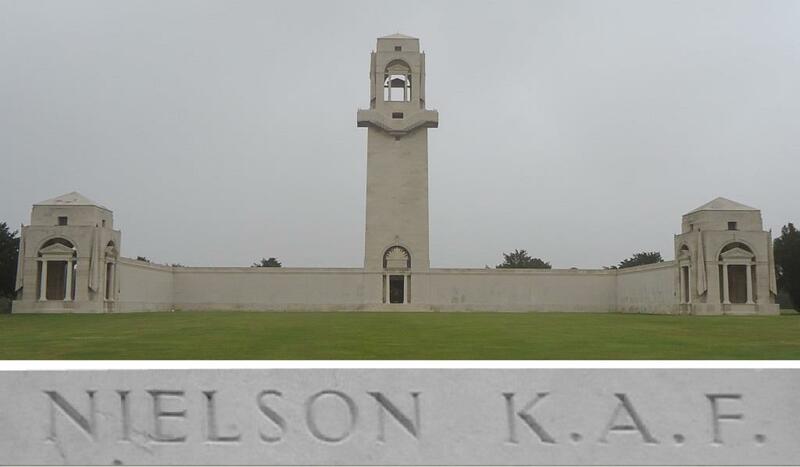 On the 7th June 1916 Private Leoville left Alexandria aboard the transport Huntspill bound for France, arriving at Marseilles on the 14th June 1916. 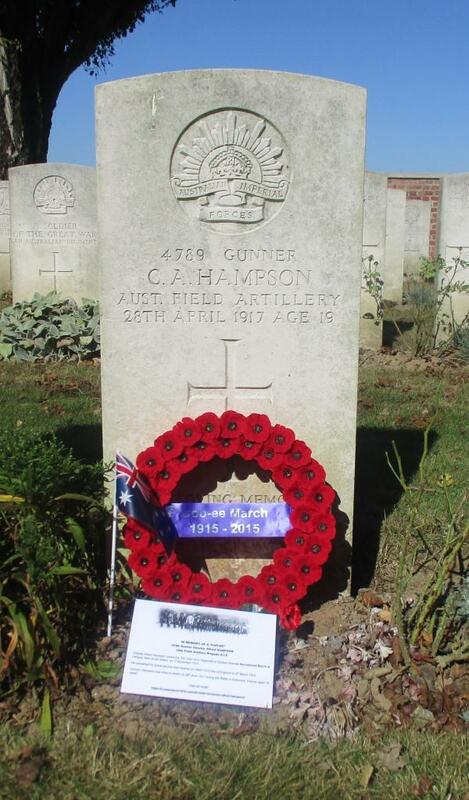 He was sent to the 4th Division Base Depot at Etaples, France, until the 29th July 1916, when he departed to join the 45th Battalion. 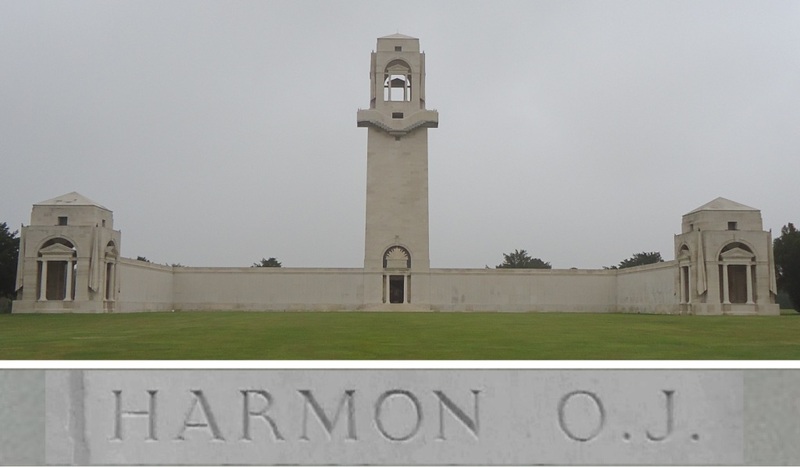 On the 4th August 1916 Private Leoville was taken on strength of the 45th Battalion when it at Tara Hill two miles north east of Albert, France, preparing to move to the front lines. 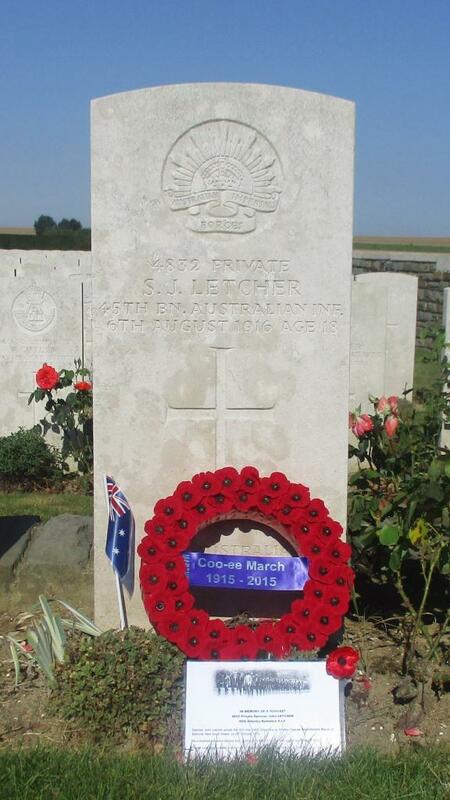 On the 8th August 1916 the 45th Battalion was in the front lines in the vicinity of Poziers, France when Private Leoville was wounded by a high explosive artillery shell. 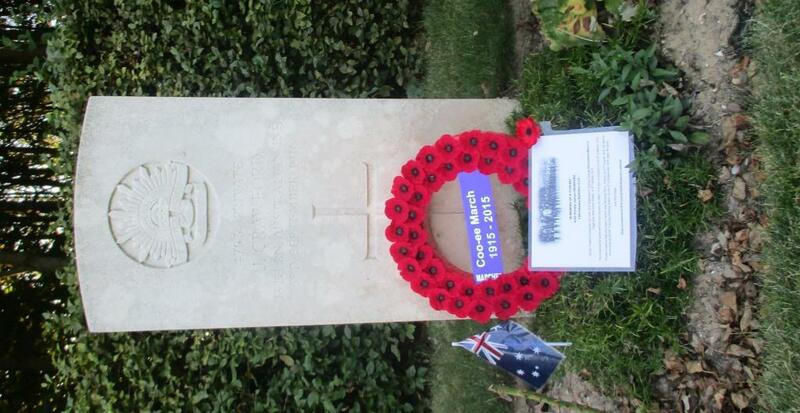 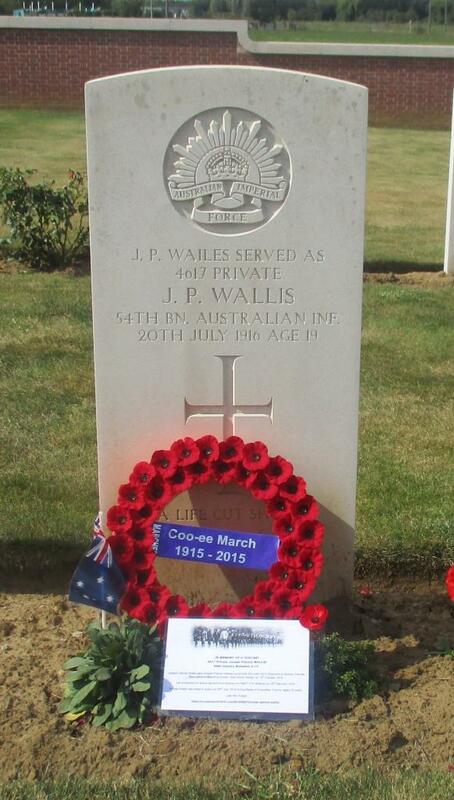 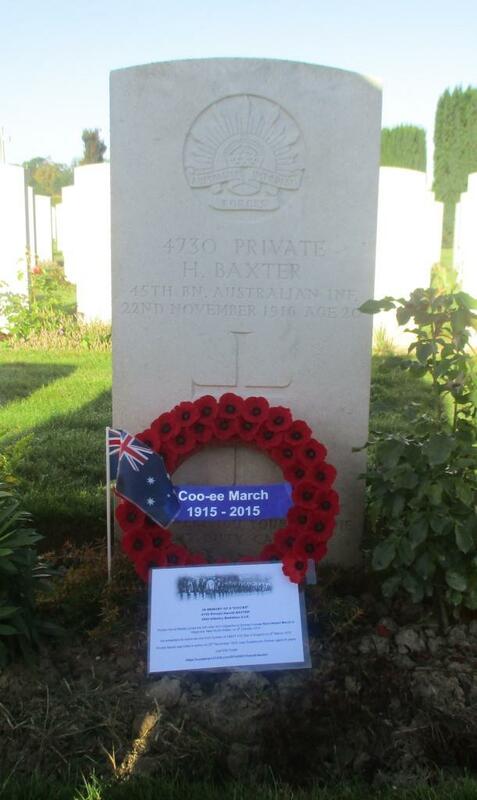 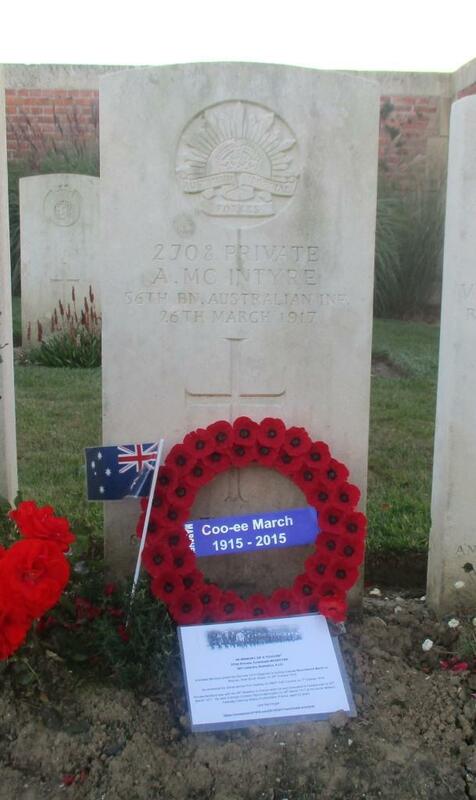 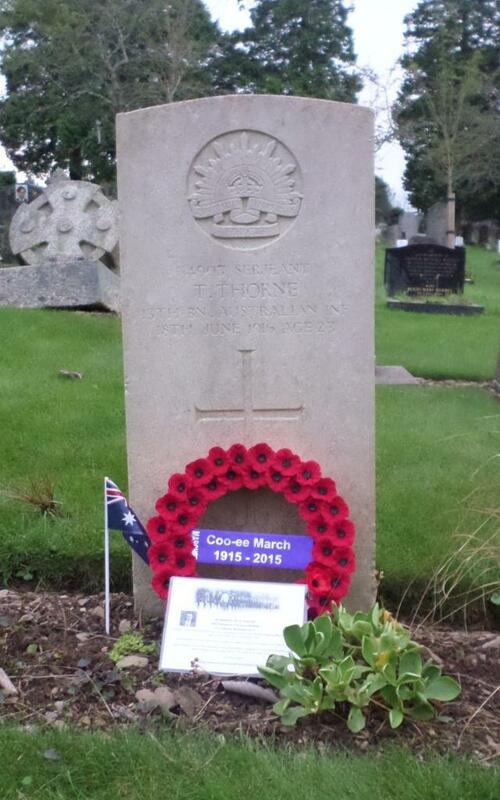 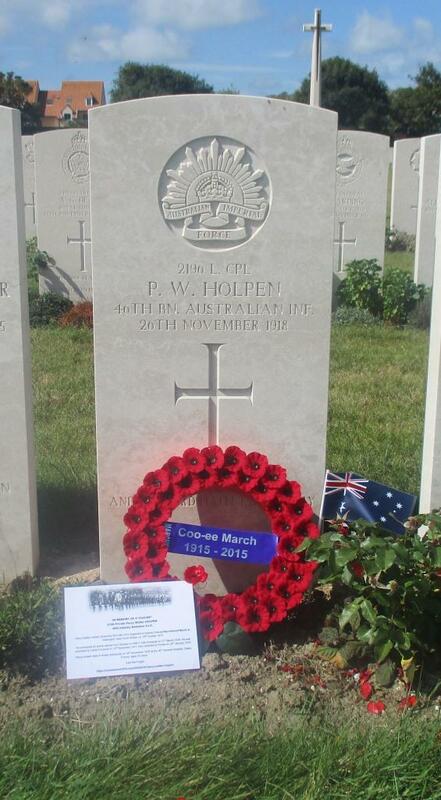 He was evacuated to the 13th Australian Field Ambulance which was set up in the village of Warloy- Baillon. 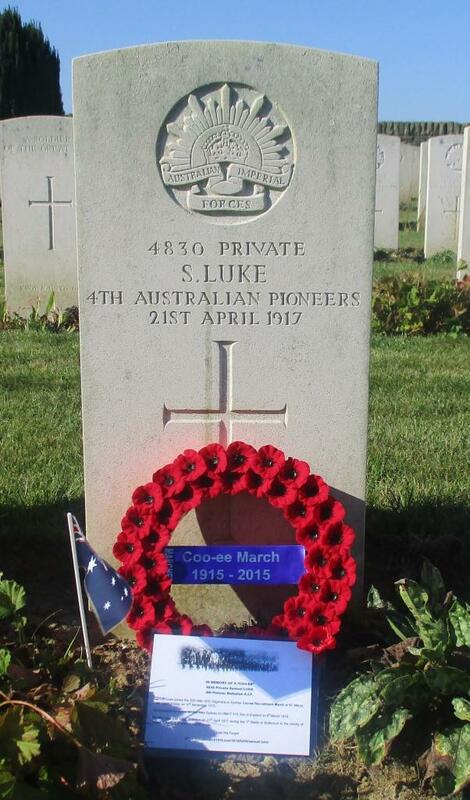 Private Leoville had suffered wounds to his head, face, right leg and abdomen, and he died of these wounds that same day. 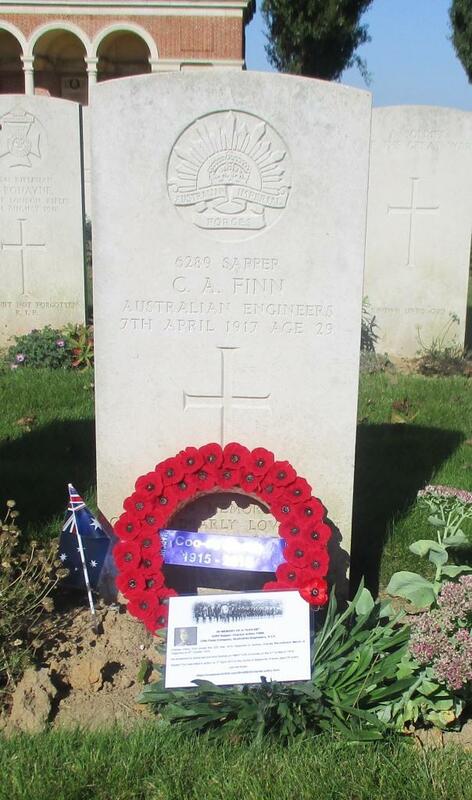 Private Leoville was buried in the Warloy-Baillon Communal Cemetery Extension, France. 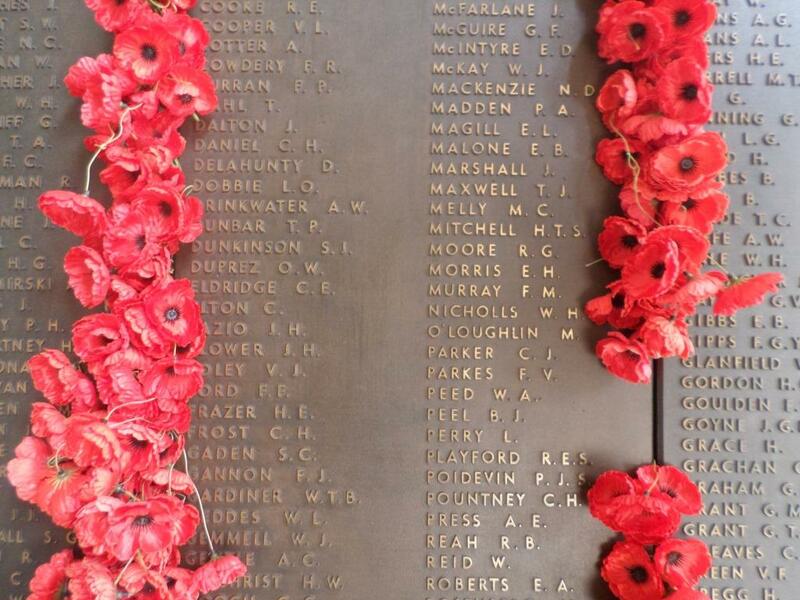 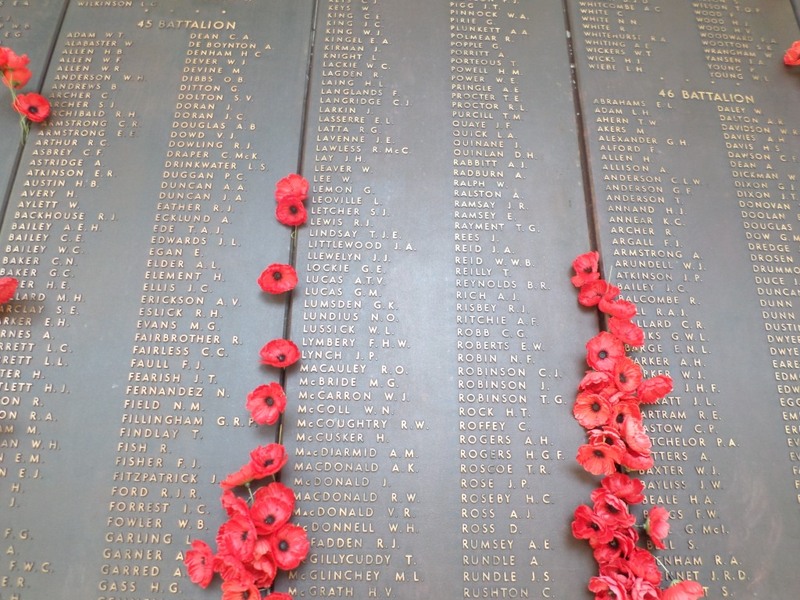 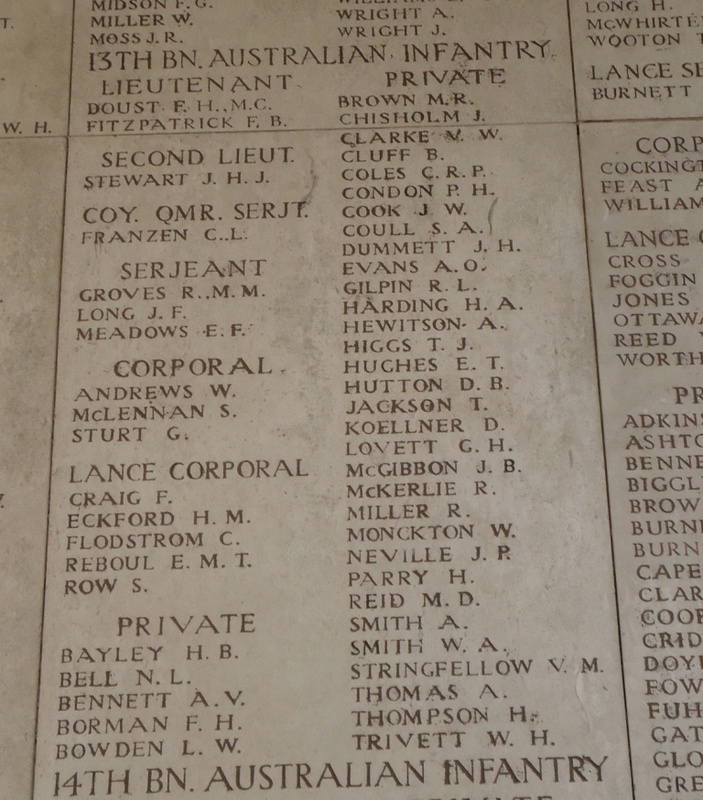 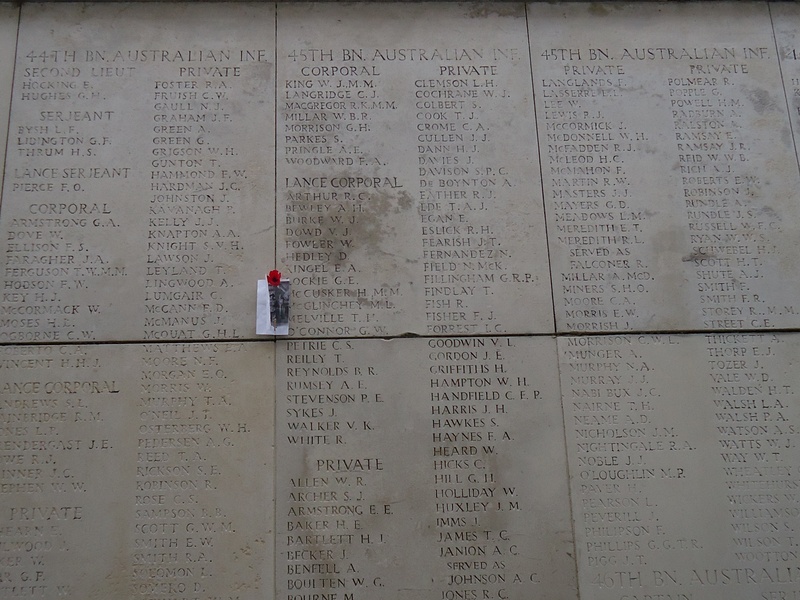 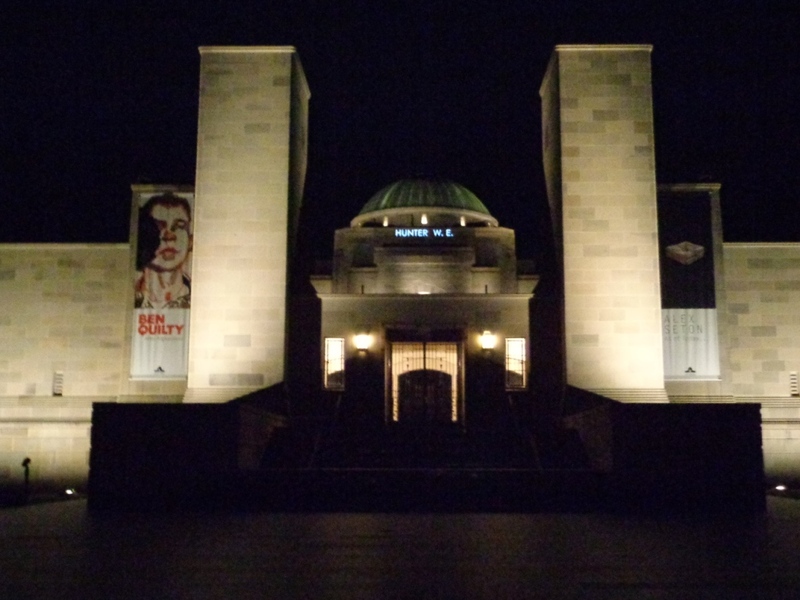 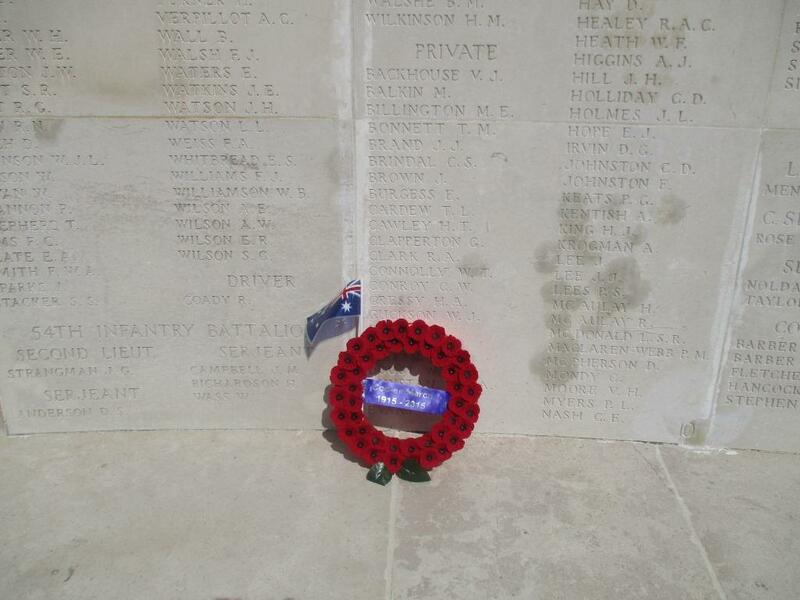 Private Leoville’s name is commemorated on panel 140 on the Australian War Memorial First World War Roll of Honour. 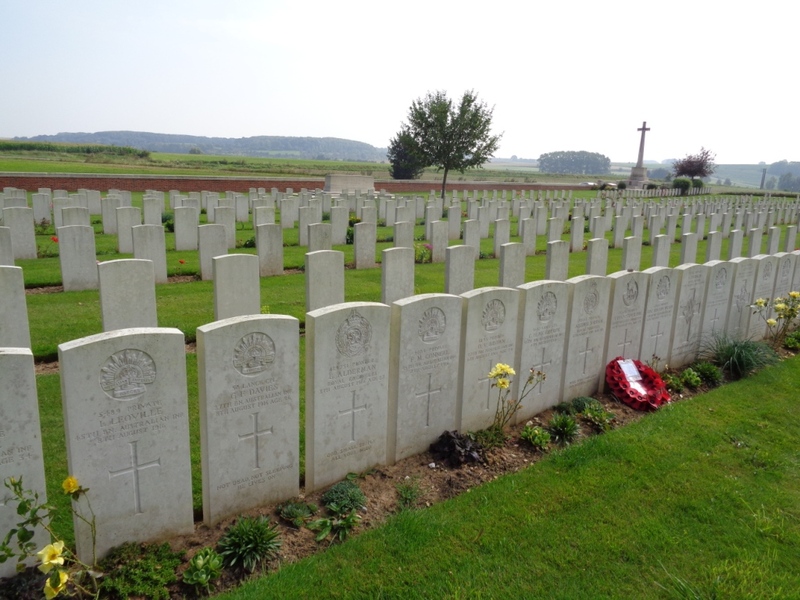 On Thursday 4th September 2014 Stephen and I drove to Warloy-Baillon Communal Cemetery Extension, which is located on the east side of the village of Warloy-Baillon, which is about 21 km northeast of Amiens, and 8 km west of Albert. According to the Commonwealth War Graves Commission website http://www.cwgc.org/, burials were made in the extension on the eastern side of the Warloy-Baillon Communal Cemetery from July to November 1916 following fighting on the northern sector of the Somme, then some further burials were made after the German offensive in the spring of 1918. There are 1,331 First World War Commonwealth soldiers buried in this extension. 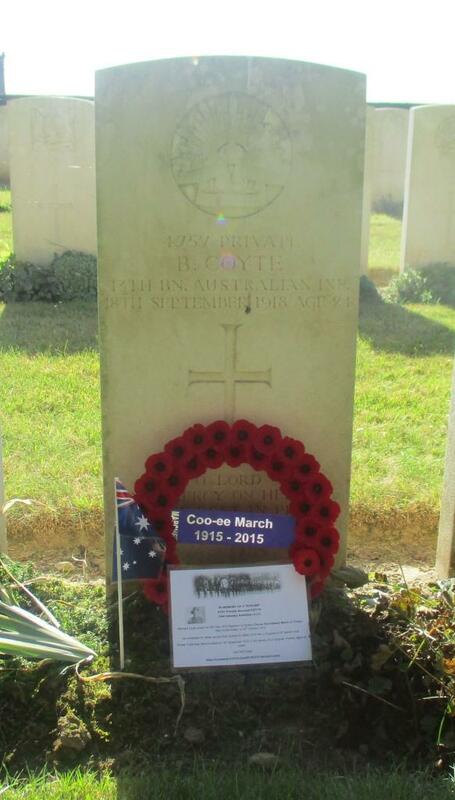 Lewis Leoville, who joined the Coo-ees at Lithgow, is the only Coo-ee buried in this cemetery. 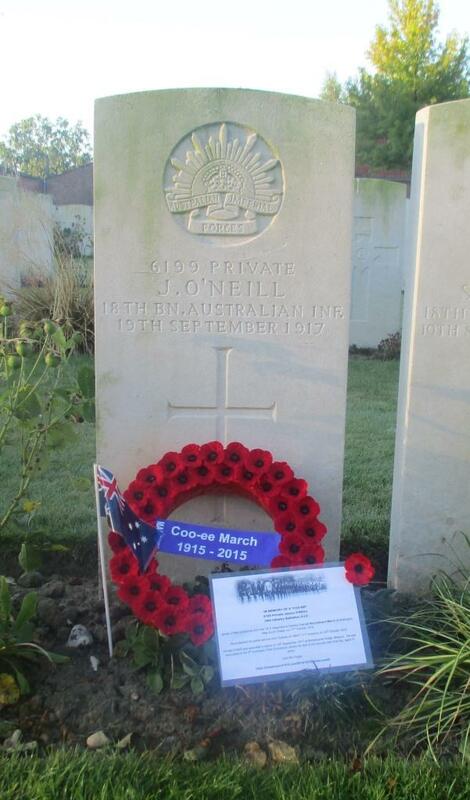 On the 8th August 1916 Private Leoville was wounded in action during the Battle of Poziers, and died the same day after being evacuated to the 13th Australian Field Ambulance set up in the village of Warloy-Baillon. The photograph below shows Warloy-Baillon Communal Cemetery Extension. 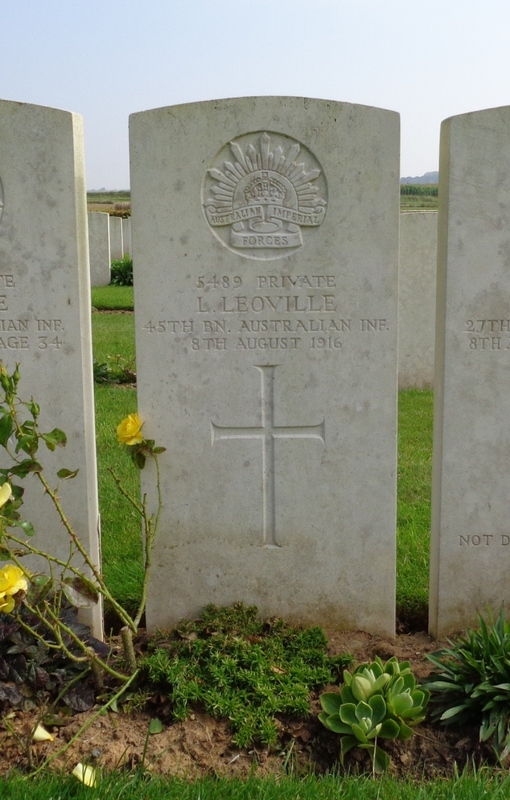 Lewis Leoville’s grave is the first one visible on the left. 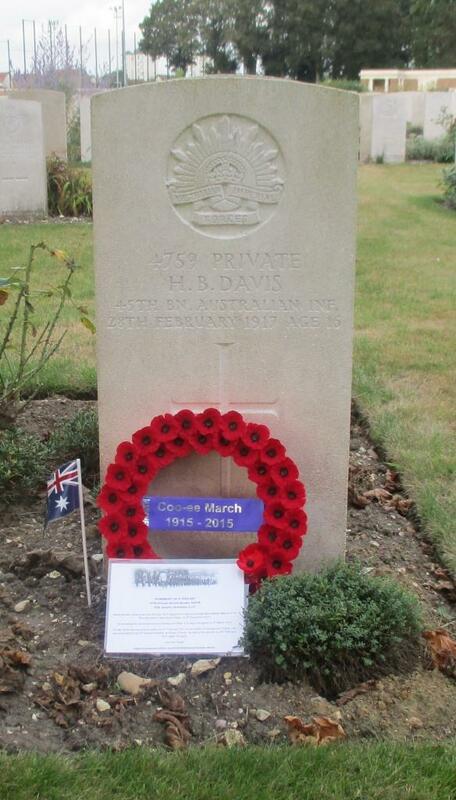 A photograph of the headstone on Lewis Leoville’s grave will be placed on his individual blog entry, and form part of a Roll of Honour for the fallen Coo-ees on this blog.